The well-known American technical magazine “Popular Science” has made an award to the newly developed AMG SPEEDSHIFT MCT 7-speed sports transmission. During the “Best of what’s new Awards”, the innovative power transfer of the SL 63 AMG high-performance Roadster achieved first place in the “Automotive” category. The AMG SPEEDSHIFT MCT 7-speed sports transmission was able to claim victory in the hotly contested “Automotive” category. 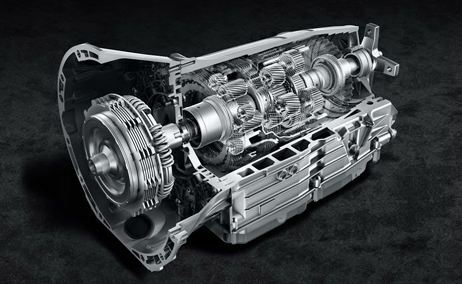 According to the editors of Popular Science, this AMG transmission represents “important and revolutionary technological progress”. Popular Science has presented its sought-after “Best of what’s new Awards” annually in eleven categories since 1987. A total of 100 products enter the final selection. The results are published in the December edition, which traditionally has the largest circulation. Popular Science is the world’s most widely-read science and technology magazine, with an average readership of 6.8 million each month. The centrepiece of the AMG SPEEDSHIFT MCT 7-speed sports transmission is the wet start-off clutch, which operates in a sump and replaces the previous torque converter. Thanks to its low rotational inertia, this transmission is extremely responsive and dynamic, with movements of the accelerator immediately translated into motive power. Equipped with four driving modes, the transmission shifts the gears with no interruption in tractive power and provides tailor-made shift strategies for maximum driving pleasure. In “C” mode the gearchanges are comfort-oriented, with “soft” accelerator mapping for extremely smooth progress. In “S” mode the engine and transmission respond much more immediately, with more revs in each gear and faster downshifts. Gearshifts are also around 20 percent faster than in “C”. Changing to driving mode “S+” shortens this time by a further 20 percent, while “M” provides the most sporty mode of all: now the 6.3-litre AMGV8-engine responds more sharply, and the transmission shifts the gears 10 percent faster – corresponding to a 50 reduction versus “C” mode. In “M” mode the gearchanges take only 100 milliseconds. Particularly fast and responsive multiple downshifts are another major attribute of the AMG MCT sports transmission. Kickdown alows the driver to change from seventh directly to fourth gear, for example, or from fifth to second gear. In driving modes “S” (Sport), “S+” (Sport plus) and “M” (Manual) the automatic double-declutch function is active. This is not only a benefit in terms of the driver’s emotional experience: the practically load-free downshifts minimise any load-change responses, which has an extremely positive effect when braking into bends on the racetrack. The 3-stage ESP® with sports function is also unique. This system offers three different control settings, and is a logical further development of the AMG ESP® philosophy. Using the ESP® key in the AMG DRIVE UNIT, the driver is able to choose between three modes – “ESP ON”, “ESP SPORT” and “ESP OFF” – and the currently active mode is shown in the central display of the AMG instrument cluster.